In this book, Trevor Chandler challenges the common Dispensational views of Matthew 24, the “Secret Rapture”, the Millennium, and the place of the modern nation of Israel in Bible prophecy. A proper interpretation of these issues is not an irrelevant side issue, but is vital for victorious Christian living at this time. 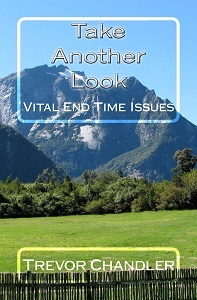 For more information and to purchase your copy click Take Another Look: Vital End Time Issues. Life brings many challenges, but one of the greatest is that of forgiveness. Millions of people live in a prison of unforgiveness as they find it impossible to forgive others for real or perceived hurts or injustices. In this book, Trevor Chandler brings clear teaching on this important topic. He not only explains the Biblical concepts of mercy, forgiveness and pardon, but gives practical insights into how to forgive those who have wronged us. For more information and to purchase your copy click Power and Problem of Forgiveness. Trevor Chandler has been preaching for over fifty years. In that time, he has been well-known for his distinctive sense of humour as well as his almost endless supply of jokes and stories. In this book, he gives us a unique opportunity to draw upon his reservoir of anecdotes, either to illustrate sermons, or just for the sheer pleasure of reading them. 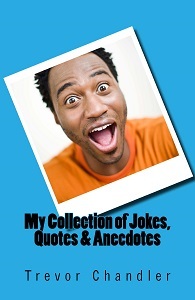 For more information click here, or to purchase your copy from Amazon Books, click My Collection of Jokes, Quotes & Anecdotes. The Church demands faith without realising that hope is the true foundation of faith. Christians often live under condemnation and guilt because they believe that their faith has been inadequate in times of need. Hope is not passive; it is powerful and positive. God is the 'God of Hope.' The Holy Spirit ministers hope, and the Scriptures abound with exhortations to live in hope. 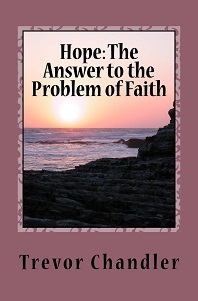 For more information and to purchase your copy click Hope: The Answer to the Problem of Faith. How important is the subject of divine order in fulfilling God's purpose for individuals and for the world? Can we reach God's goal for our lives in our own way or do we need the help of others? Does God have a definite pattern for Church life? There is unfinished business in the Church today, particularly as it relates to the function of elders, deacons and the ministry gifts of Christ in their responsibility to bring the saints to maturity. Let new life spring forth in the church. 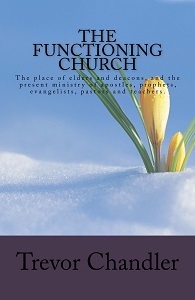 For more information click here, or to purchase your copy click The Functioning Church. 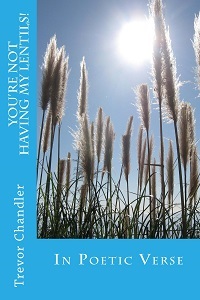 Although presenting many of the themes or characters of the Bible in poetic style would daunt most mere mortals, the author, Pastor Trevor Chandler, has undertaken such a huge task with what seems to be sudden inspiration from the Holy Spirit. Seventy plus years of Bible study, preaching and teaching gave impetus and understanding to this mammoth undertaking and motivated him into action when such a surprising concept crossed his mind. In six weeks of concentrated effort, and despite serious health issues, what poured forth was nothing less than amazing. On completion of each subject it became apparent that the author was being given spiritual insight, enabling him to summarize both the Old and New Testaments and formulate the link between the two. For those who have a basic knowledge of the Bible, a reading of this work, especially aloud, will no doubt bring a “wow” response. For others who have little or no knowledge of Jewish / Christian Scriptures, it will be a journey of discovery, and undoubtedly a most enjoyable and enlightening one, as this epic unfolds. Although Pastor Chandler is well-respected for his preaching, teaching and writing ministry, his ability in a poetic form has come as a pleasant surprise to those who know him well. 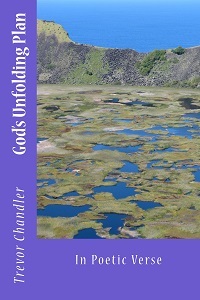 For more information and to purchase your copy click God's Unfolding Plan. You're Not Having My Lentils! The theme of the book is “standing in times of testing” and the lentil field is used as a symbol of the test, and whether those involved held the lentil field or lost it. Fifty individuals from the Old Testament have been chosen, and fifty people or churches from the New Testament. The poems then set out the challenges involved if the “lentil fields” were to be held. The author has summed up the heart of each subject in a most interesting, different and inspiring manner. These poems present a new and refreshing way to read or revise some of the fascinating and challenging historical life stories, and the exhortations to churches, that are found in the Bible. For more information and to purchase your copy click You're Not Having My Lentils!. The author has been involved in pastoring, preaching and teaching for more than fifty-five years, and during that time he has travelled extensively to many countries in the world, speaking at conferences, Bible Schools and in Churches. He has an international reputation as a gifted preacher and Bible teacher and had been urged to put some of his teaching into written form. He has compromised with this suggestion and instead of writing in detail about particular topics, he has presented in poetic verse, a summary of most of the major doctrines, themes and vital subjects of Scripture in one book. This is the third book that the author has written in this genre in his eighty-fifth year of life, and it is very different, absorbing and informative. This book will give the reader a quick overview of many of the important truths of the Bible in a way that will refresh, inspire, teach or bring back to memory some of amazing topics that have been heard over the years and perhaps been consigned to the forgotten area of the mind! This book will awaken a new spiritual excitement. 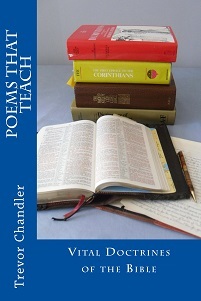 For more information and to purchase your copy click Poems That Teach: Vital Dctrines of the Bible in Poetic Verse.